Inspekta Mwala is one of the most celebrated comedian in Kenya. His real name is Davis Hezron Mwabili, He started his acting career in Vitimbi Tv show which aired in KBC and was one if the most popular TV show in the country. He acted with the Late veteran actor Mzee Ojwang and Mama Kayai. 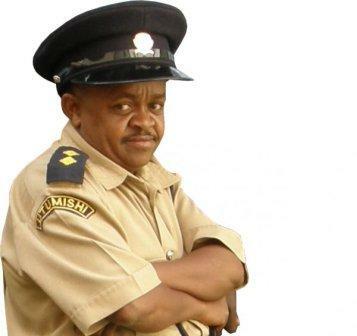 With the success of Vitimbi, inspector Mwala moved to citizen TV where he stared his own show and named it with his name from the vitimbi show . The show in citizen tv received good ratings and has grown to be one of the most celebrated TV shows in the country. 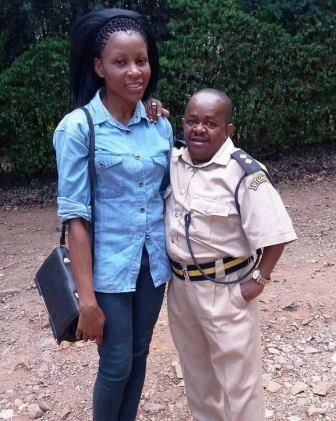 Thought He looks Short, most people keep wondering just how old is Inspector Mwala. Well, he is old enough to be a father of two wonderful kids who took after him. Just like all of us, Mwala has a life outside of his acting. When he is not on screen, he is busy raising his two adorable children, and if the photos are anything to go by, he surely is a cool dad. He has fathered a daughter and a son, whom he is very proud of and doesn’t hesitate to share these lovely kids with his social friends. 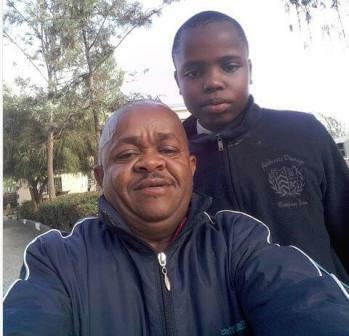 Away from his busy schedule, Davis Mwabili prefers spending his time with his kids and posting his fatherly moments with his fans on social media. Inspector Mwala is also the nephew of Aurelian Mwalukumbi, commonly known to many as Likobe who arguably introduced Mwala to acting. Not much is known about his parents or siblings. Is inspector Mwala married? Where there are babies, there's probably a mama or a wife. However, on Inspector Mwala's side, everything is mute. Inspector Mwala wife is hardly ever talked about or even posted on social media. It seems Mwala has done a very good job of keeping the mother of his children away from the public eye. 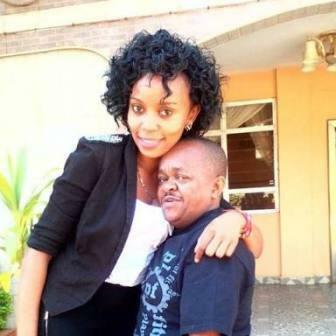 Mwala is a Taita by tribe and his on-screen Kamba accent is only learned. As he puts it, he is a Taita by birth and a Kamba by profession. He was born in the coastal region of Kenya, Taita Taveta, where he was also raised. Inspekta Mwala salary from his TV and radio show is estimated at kes300,000. He may be the little man but his wallet is probably thrice his height. His show Inspekta Mwala sees him taking home ksh, 80,000 weekly. His salary calculated from the TV and radio shows is estimated to be ksh 500,000 every month. Aside from that, he has a lot of endorsements going on, like endorsements from NHIF and Imperial bank. This, coming from a man who only earned ksh 150 on his very first month of acting the Vitimbi show, is a huge step. Apart from his salary and endorsements, Inspector Mwala owns a flat in Ruai that has an estimated monthly rent of ksh 300,000.